The entire leadership of Maoists, including the chief of their Darbha committee, which carried out the attack on the BJP MLA, have been roaming through the area unhindered in an effort to assert their presence and dissuade voters from casting their ballot. Despite threats from Maoists, the Bastar region recorded high voter-turnout on Thursday. 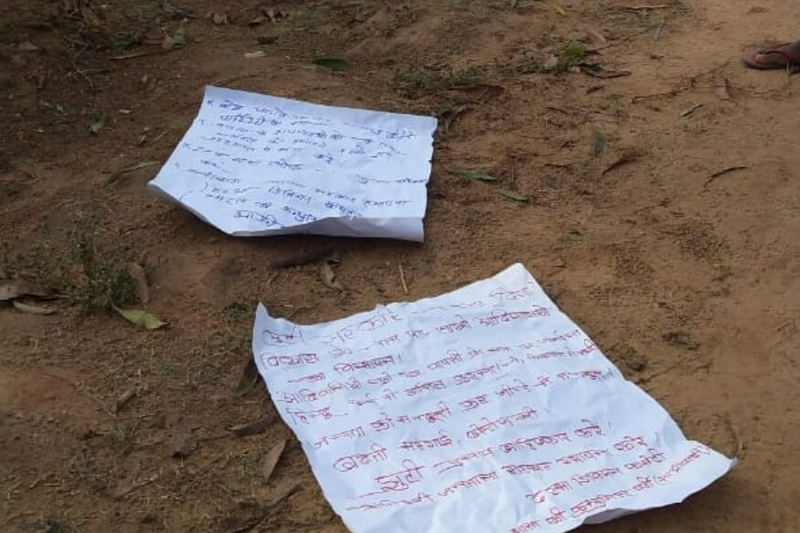 Two days before BJP MLA Bhima Mandavi and four security personnel were killed in a Naxal-triggered IED blast in Chhattisgarh’s Dantewada, the Maoists took out a rally in four neighbouring villages, urging locals to boycott the Lok Sabha elections which went into its first phase of polling on Thursday. The rally was organized by Jan Natya Mandali, the cultural wing of Maoists. Sources told News18 that around 3,000 villagers from Dwara, Burgam, Nahadi, and Nevalaya were made to dance by the propaganda wing of insurgents and were urged to boycott the general election which is currently underway in Bastar. The entire leadership of Maoists, including the chief of their Darbha committee, which carried out the attack on the BJP MLA, have been roaming through the area unhindered in an effort to assert their presence and dissuade voters from casting their ballot, sources added. CPI (Maoist) Darbha committee Chief Sai Nath, along with other military commanders of the banned extremist outfit like Chetu, Deva and Gundadhar, were also spotted in Dantewada with their foot soldiers. Further, heavy Maoist movement along Aranpur, Palnar, Gadapal, Tikanpal, Hiroli and Katekalyan was reported. However, several villagers that News18 spoke to said that the government's apathy towards these areas was a fact that has not changed in many years. The villagers, who spoke on the condition of anonymity, said that basic amenities like healthcare, water, electricity and schools have not been provided in the region. According to P Sunder Raj, DIG Bastar, around 80,000 security personnel, 55,000 of which are paramilitary personnel from BSF, ITBP and CRPF, the remaining being local police, have been deployed across Bastar to ensure an incident-free election. Although an IED blast was reported from Narayanpurs of Farasgaon area early Thursday morning, no casualty was reported. In an interior village in Kuankonda, where the BJP MLA was killed, the insurgents hijacked a polling booth overnight and vandalised it by painting anti-election graffiti. Sources have told News18 that a lot of Maoists are believed to be hiding in the hills nearby. However, undeterred by the dangerous situation, the region recorded a healthy voter turn-out, upwards of 50% in in Kuankonda's villages. Shyamgiri where the deceased MLA Bhima Mandavi was headed to before he was killed in Kuankonda, also recorded a healthy voter turnout. 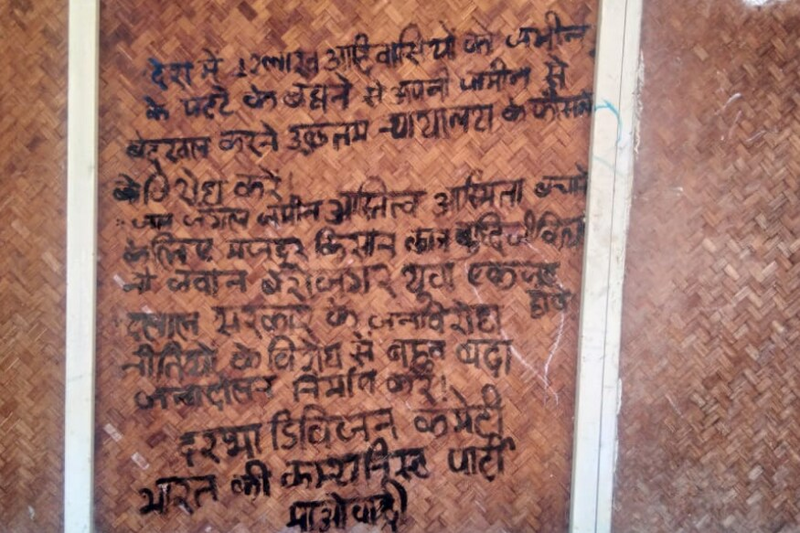 This was despite the anti-election posters and pamphlets that were distributed by Maoists overnight.